This is the kit used to put together a Carburetor. A Carburetor is a device in an internal-combustion engine for mixing air with a fine spray of liquid fuel. This kit contains components of a Carburetor such as the Screw plug, idle jet, choke plate, fuel inlet, screw plug, off-idle jet, throttle level, throttle valve, choke lever, float bowl and the high speed jet. 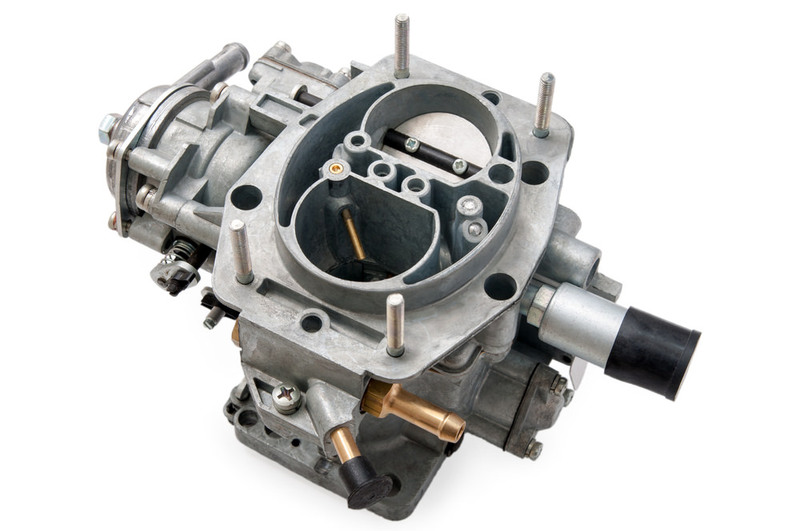 A carburetor basically consists of an open pipe through which the air passes into the inlet manifold of the engine. The pipe is in the form of a venturi: it narrows in section and then widens again, causing the airflow to increase in speed in the narrowest part. Below the venturi is a butterfly valve called the throttle valve — a rotating disc that can be turned end-on to the airflow, so as to hardly restrict the flow at all, or can be rotated so that it (almost) completely blocks the flow of air. This valve controls the flow of air through the carburetor throat and thus the quantity of air/fuel mixture the system will deliver, thereby regulating engine power and speed. The throttle is connected, usually through a cable or a mechanical linkage of rods and joints or rarely by pneumatic link, to the accelerator pedal on a car or the equivalent control on other vehicles or equipment. Fuel is introduced into the air stream through small holes at the narrowest part of the venturi and at other places where pressure will be lowered when not running on full throttle. Fuel flow is adjusted by means of precisely calibrated orifices, referred to as jets, in the fuel path.